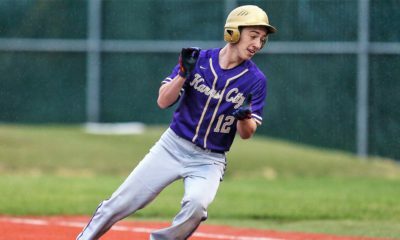 KANE, Pa. – Kane used strong efforts from the circle and plate to fuel an 11-0 victory over Brockway in five innings. Rachel Danielson pitched five strong innings striking out five batters while only giving up one walk and one hit for the win. Emma Ely went 2-for-3 with a triple and two runs scored for the Lady Wolves. Freshman Haley Slater went 2-for-3 with a double and three RBIs. Ella Marconi scored three runs and walked twice. 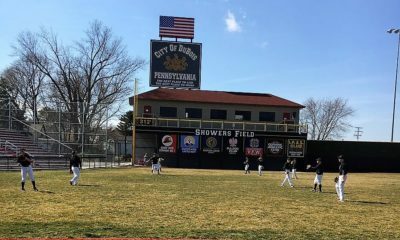 CURWENSVILLE, Pa. – Curwensville swept a doubleheader from visiting Sheffield by scores of 18-0 and 30-0 both in three innings. In Game One, Mackenzie Wall led the Lady Tide offense going 3-for-3 with three hits, three RBIs and three runs scored. Joslynne Freyer went 3-for-3 with 4 RBIs and a run scored while Taylor Luzier added three hits and 4 RBIs. Abby Pentz chipped in going 1-for-2 with 2 RBIs on the night. Freyer was the winning pitcher striking out five batters and not giving up a hit in three innings of work. In the second game, Curwensville scored 15 runs in the second inning to blow past Sheffield, 30-0. Bailey Bloom led the Lady Tide offense going 4-for-4 with three RBIs and four runs scored while Abby Pentz went 4-for-5 with 4 RBIs and four runs scored. Joselynn Freyer hit 5 RBIs leading the Tide offense in that category. Ashley Frederick and Kenidee Cofer each had one hit for Sheffield. Freyer was the winning pitcher striking out two batters while Logan Sheeder came in relief to strike out one. ST. MARYS, Pa. – Johnsonburg’s Lindsay Kocjancic had an excellent night from the plate to guide Johnsonburg to a 11-5 road victory over Elk County Catholic. Sady VanAlstine and Jena Weisner each went 2-for-4 with 1 RBI to lead the ECC offense. Julie Peterson was the winning pitcher going seven innings striking out five batters and giving up five hits. Kali Kirst took the loss for ECC giving up four hits and one earned run. HYDE, Pa. – Clearfield scored three runs in the third inning to upend Central-Martinsburg, 4-1. Emma Hipps went 1-for-3 with 2 RBIs and a run scored while Karly Rumsky went 1-for-3 with an RBI and a run scored. Maddie Metzler led the Central-Martinsburg offense going 1-for-3 with an RBI on the night. Hipps picked up the victory striking out 13 batters while only giving up one earned run and two hits. Dylan Claycomb took the loss giving up six hits and three earned runs. RIMERSBURG, Pa. – Amanda Dailey drove in seven runs to help visiting Moniteau to a 16-0 win over Union. Dailey was 3-for-3 with a home run and two doubles while also scoring three runs for the Lady Warriors. Madison Clark added a two-hit game with a run scored and an RBI for Moniteau with Dolcey Shunk chipping in a double. Dailey got the win going three innings allowing two hits and a walk while striking out three. PUNXSUTAWNEY, Pa. – Clarion built a 4-0 lead after three innings and then held on for a 4-3 road victory over Punxsutawney with the Lady Chucks leaving the tying run at third and the winning run at second after scoring a run in the bottom of the seventh. 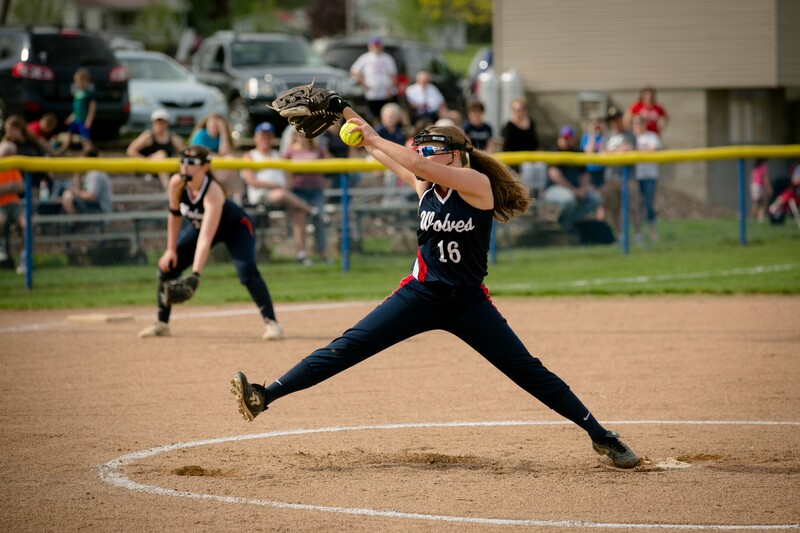 Kait Constantino got the win going the distance allowing three runs on four hits and four walks while striking out eight. She was also 2-for-4 with a run scored on offense. Jordan Best and Tori Vega each doubled and had RBIs with Best going 2-for-3 with a run scored. Carly Best and Lindsey Kemmer added RBIs for the Lady Cats. Riley Presloid was 1-for-2 with a walk, two RBIs and a run scored for Punxsutawney. Grace Aikens went 2-for-3 with a run scored, and Madison Stonebraker had an RBI double. Elliott Ferrent took the loss giving up four earned runs on five hits and a walk while striking out three in three innings of work. Kendal Johnson threw four scoreless innings of relief allowing two hits while striking out seven. JOHNSONBURG, Pa. – Johnsonburg scored six runs in the first two innings to capture a 9-2 home victory over ECC. Dom Allegretto led the Rams on offense going 2-for-4 with three RBIs and two runs scored. Dalton Stahli was 1-for-2 with three RBIs of his own and a run scored while Camron Marciniak was 2-for-3 with an RBI and two runs scored. Issac Brock led the ECC offense going 1-for-3 with an RBI. 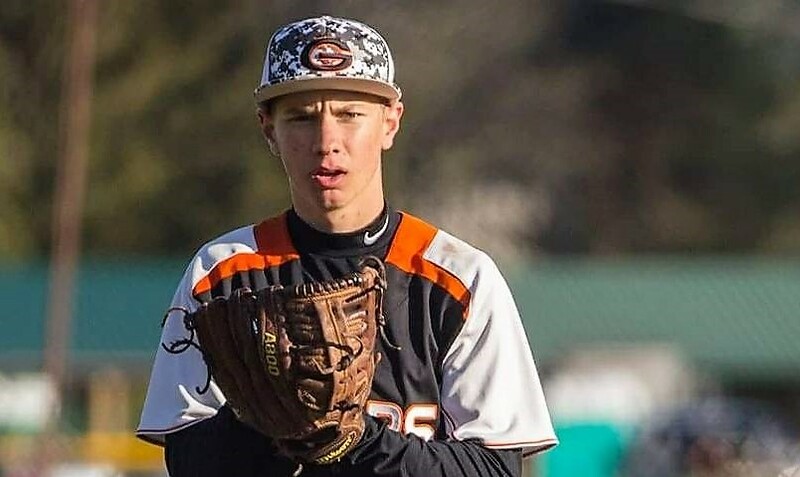 Gabe Watts was the winning pitcher striking out eight batters and giving up just three hits. Austin Green relieved Watts in the seventh striking out one batter and giving up one hit. Brady Schneider took the loss for ECC striking out two and giving up three runs. PUNXSUTAWNEY, Pa. – Punxsutawney combined to score 13 runs in the third and fourth innings to pick up a 14-4 home win over Curwensville. Addison Neal led the Chucks offense going 3-for-4 with two RBIs and three runs scored while Alec Greenblat also went 3-for-4 with two RBIs and two runs scored. Dylan Ishman and Andrew Britton also added two RBIs. Noah VonGunden led Curwensville’s offense going 2-for-3 with two RBIs. Derek Huey got the win striking out three batters and giving up zero earned runs. FOXBURG, Pa. – North Clarion used 13 hits to edge out A-C Valley for a 5-4, eight-inning road victory. Bryce Byers and Sam Minich led the North Clarion offense with Byers going 3-for-5 and an RBI while Sam Minich went 2-for-5 with an RBI and two runs scored. Sam Anderson went 2-for-4 with 2 RBIs to lead the A-C Valley offense. Zyler Hargenrader picked up the win on the mound giving up three hits and a run. Logan Minich struck out two batters. Gary Amsler struck out three batters for the Falcons despite picking up the loss.